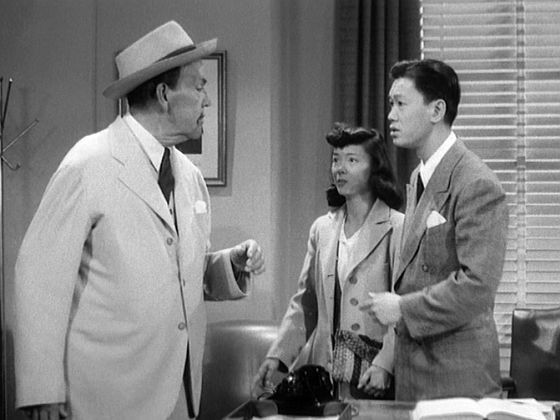 Number Three Son, Tommy, that he has to leave on another important case in Charlie Chan in the Secret Service (1944). Detective Chang Apana, an inspiration for Earl Derr Biggers' Charlie Chan, retires from the Honolulu Police Department after more than three decades of service, 16 years as a detective, on this day in 1932. WEEKLY CHAT/FILM VIEWING: Dead Men Tell starring Sidney Toler. Please join us as we discuss this film LIVE, watching it together via personal video! Ross Martin, who portrayed Charlie Chan in The Return of Charlie Chan (also known as Happiness is a Warm Clue), a made-for-television movie, is dies of a heart attack in Ramona, California, on this day in 1981. WEEKLY CHAT/FILM VIEWING: Charlie Chan in Rio starring Sidney Toler. Please join us as we discuss this film LIVE, watching it together via personal video! WEEKLY CHAT/FILM VIEWING: Castle in the Desert starring Sidney Toler. Please join us as we discuss this film LIVE, watching it together via personal video! Manuel Arbo, who would portray Charlie Chan in the film Eran Trece, the Spanish language version of Charlie Chan Carries On, is born in Madrid, Spain, on this day in 1898. WEEKLY CHAT/FILM VIEWING: Charlie Chan in the Secret Service starring Sidney Toler. Please join us as we discuss this film LIVE, watching it together via personal video! Kamiyama Sojin, who portrayed Charlie Chan in The Chinese Parrot (1927), dies in Tokyo, Japan, on this day in 1954. WEEKLY CHAT/FILM VIEWING: The Chinese Cat starring Sidney Toler. Please join us as we discuss this film LIVE, watching it together via personal video!